Blended Scotch whisky Johnnie Walker has collaborated with film director Denis Villeneuve on a limited-edition release – Johnnie Walker Black Label The Director’s Cut – to mark the imminent release of sci-fi sequel Blade Runner 2049, and to pay homage to the whisky’s appearance in the original 1982 movie. The new expression was created by Johnnie Walker master blender Jim Beveridge with the film’s director, Denis Villeneuve, with one eye on how whiskies of the future might taste. It is a combination of more than 30 single malts and grain whiskies, blended in Black Label style, but with a smokier twist. Bottled at 49% abv – a nod to 2049, the year in which the new film is set – it is also stronger than the standard Black Label (40% abv). Beveridge said: ‘I learned that film-making is much like blending – you have to constantly be committed to creating the best possible outcome. The original Blade Runner film was set in Los Angeles in the year 2019 and featured lead character Rick Deckard (played by Harrison Ford) drinking Johnnie Walker poured from a futuristic bottle. Set 30 years after the original, Blade Runner 2049 stars Ryan Gosling, with Harrison Ford reprising his role of Deckard. The film premieres on 6 October. 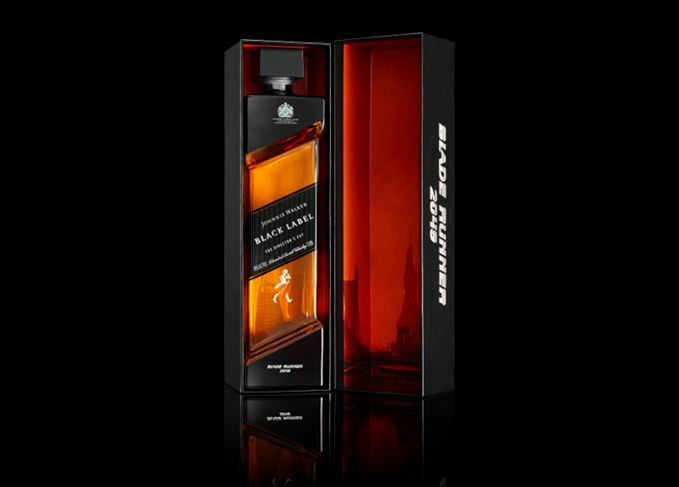 Johnnie Walker Black Label The Director’s Cut, priced at £68 (US$90), with only 39,000 bottles available, will be sold in the US, Asia, Lebanon, Brazil and Western Europe, as well as via Amazon in the UK, Germany and Spain. The name of the special edition is a reference to the 1992 re-release of the original film, which featured a significant recut by director Ridley Scott. Discover the whiskies created to promote films, television shows and even video games. Many a dram has made an appearance on the silver screen – some authentic, others imagined.